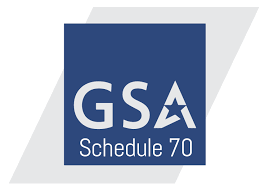 YAVNE, Israel - July 28, 2017 - PRLog -- Correlata Solutions Ltd, announced today that the General Services Administration (GSA) has awarded the firm an IT 70 Schedule contract under STONS INC for contract GSA # GS-35F-153GA, at least until 2021. Correlata is the pioneer of Data Center Optimization Management (DCOM) solutions, and provides the most powerful platform for business IT leaders who can gain new insights into the daily well-being of their business IT operations and detect organizations' vulnerabilities in advance, before they impact the business. The company's breakthrough technology is the first to solve the inherent silo effect in all current data center Infrastructure environments, by applying an advanced analytic engine with embedded and sophisticated rules. The Correlata engine generates valuable information regarding wise usage of IT infrastructure investments, resource allocation efficiency, IT alignment to define SLAs, service availability and data recovery risks – building a transparent ecosystem.